Daniel R. Deutsch, Esq. | Our Team | Brooks & DeRensis, P.C. 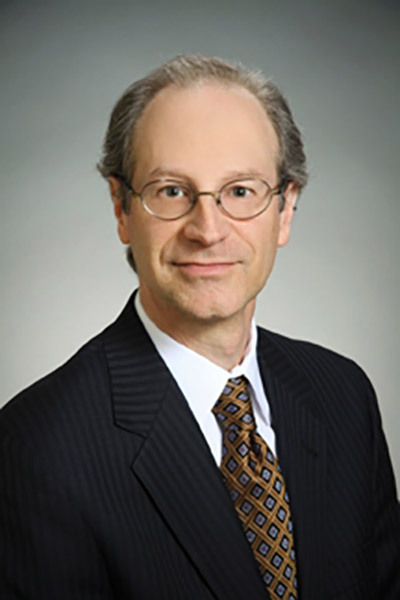 As co-Managing Principal of the Firm, Mr. Deutsch concentrates his practice in the prevention, management and litigation of disputes in commercial, employment, trust, land use, environmental, and insurance coverage matters. For 32 years, Mr. Deutsch has prepared complex civil and white-collar criminal cases and tried them before judges and juries in the state and federal courts of Massachusetts and New Hampshire and numerous administrative tribunals. He also has argued extensively before the Massachusetts Appeals Court, Supreme Judicial Court, and the First Circuit Court of Appeals in a wide array of cases, including matters of first impression. In 2007, Mr. Deutsch tried in the federal court in Boston, with several other attorneys, a wrongful imprisonment case arising from the 1968 capital murder conviction of four innocent men (Limone et al. v. United States). That trial resulted in an award of $100 million for the plaintiffs and their families, which was upheld on appeal. It is the largest such award in United States history. As a counselor, Mr. Deutsch regularly advises individuals and businesses on insurance coverage matters. Informed by his litigation experience, he also negotiates and drafts corporate and transactional documents, employment contracts, and severance agreements. Because he has operational experience in a family-run manufacturing business, he is especially attuned to the concerns of small businesses, for whom he acts as general counsel. Mr. Deutsch is a Vice-Chair of the Appellate Advocacy Committee, Torts Trials and Insurance Practice Section of the American Bar Association. He served the Massachusetts Bar Association as a member of its September 11 Committee and has presented to students in the public schools. Mr. Deutsch received the Boston Bar Association President’s Award in 2014 for his assistance to a business victimized by the Boston Marathon bombing. Mr. Deutsch has served on Vision 2020, a strategic planning committee for the Town of Lexington, and is a member of the Executive Committees of the University of Chicago Laboratory Schools and of the Boston University School of Law Alumni Association. He is an accomplished landscape and architectural photographer and enjoys bicycling and cross-country skiing. Co-author: “Recent Developments in Appellate Advocacy,” 45 TORT TRIAL & INS. PRAC. L.J. 179 (Winter 2010). Co-author: “Recent Developments in Appellate Advocacy,” 46 TORT TRIAL & INS. PRAC. L.J. 195 (Winter 2011). Mr. Deutsch served as a law clerk with the Office of the United States Attorney for the District of Massachusetts, practiced law in southern New Hampshire, and for 29 years practiced with the Deutsch Williams law firm in Boston, where he also served as co-Managing Principal. He earned his Bachelor of Arts in Government, with distinction, from Cornell University and his Juris Doctorate from Boston University School of Law.